Before turning to any expensive medical procedures or dangerous efforts to grow back lost hair, there are several easy and inexpensive at home remedies you can try. One of which is Hair Restoration Laboratories’ DHT Blocking Hair Loss Shampoo, which is packed full of ingredients designed to block DHT, stop hair loss and promote hair growth. Polygonum multiflorum root extract is known for its anti-aging properties, including its ability to fight hair loss and promote hair growth. It has been shown to decrease the amount of DHT present, which is the hair thinning agent behind most hereditary male and female baldness. DHT attaches to the androgen receptors on the hair follicles and shrinks them, leading to thinning and baldness. 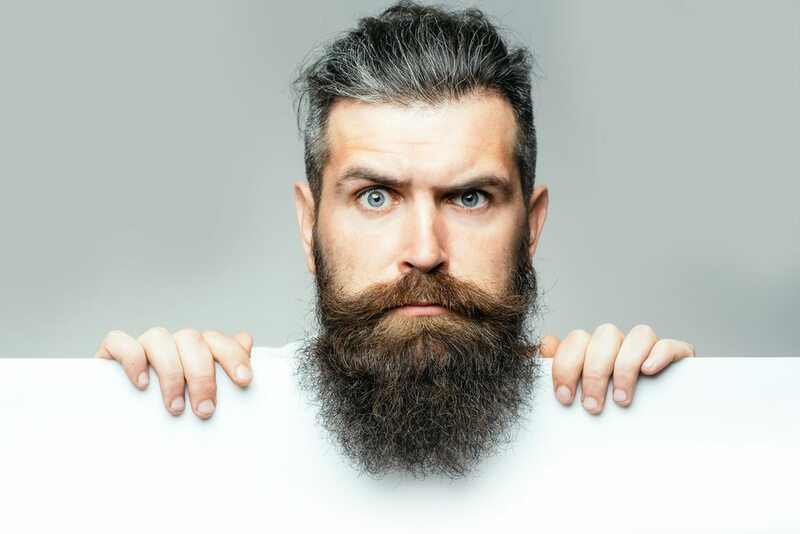 However, by decreasing the amount of DHT present, your hair follicles are not as likely to shrink and they are able to stay healthy and strong. The polygonum multiflorum root extract does just this, which tackles your hair loss problem at the source. Soy is already known as one of the healthiest foods and a great source of plant protein, but how does it help with hair loss? Soy contains a metabolite called equol, which has anti-androgen properties, meaning it blocks chemicals like DHT. Soy isoflavones are extremely effective because they are able to bind to the DHT directly and inactivate it, which stops it from shrinking hair follicles. Best of all, it blocks DHT without influencing testosterone, which helps you avoid some of the nasty side effects prescription treatments can come with. Lastly, it is great for promoting new hair growth, not just stopping hair loss. Cedrus atlantica bark oil may sound exotic, but it is really just cedar wood oil. Cedar wood oil was proven to restore thickness, length, and color in patients who suffered from alopecia areata. Cedar oil has tons of other benefits too, though. For one, it has anti-inflammatory properties, which will help relieve any underlying skin conditions on your scalp that may be sabotaging your hair growth. For example, dandruff that builds up can clog hair follicles, leading to hair loss; cedar oil would help get rid of the dandruff. It also helps balance the amount of oil the glands on your scalp produce, keeping your scalp healthy and nourished. Biotin is a crucial ingredient in this shampoo’s special hair growth formula. Biotin, also known as Vitamin H, is essential to the production of hair since it improves your body’s keratin infrastructure. Keratin is the basic protein that makes up hair, and if you have a biotin deficiency, your keratin infrastructure could severely suffer as a result, meaning thinning and more hair falling out. The biotin in this shampoo works to keep your hair strong and healthy, which in turn helps promote hair growth. Another special ingredient in this shampoo is argania spinosa kernel argan oil, also known as just argan oil. Argan oil is an amazing moisturizer, due to the high level of Vitamin E and fatty acids. Dry hair leads to frizz and breakage, both of which will undermine your efforts to regrow hair, which is why a healthy and moisturized scalp environment for hair is so important. Argan oil also helps to increase blood circulation to the scalp. Increased blood circulation means more important nutrients are reaching your scalp, keeping it healthy and setting you up for success. When I first used this shampoo, I did not immediately see results, but it still made a good first impression on me. As I lathered up my hair, the first thing I noticed was that it actually lathered. A lot of special shampoos, like ones geared towards hair loss, do not lather well, but this shampoo works up into a rich lather as you work it through your hair and scalp. Although I did not notice an immediate change in my hair, I did notice a change on my scalp. After just one use, my scalp felt fresher and cleaner than I ever remembered. I felt like all the toxins, dirt, and grease were just washed away and my hair follicles were opened up. I could feel my scalp tingling a little bit, but that’s how I knew it was working. And after a couple weeks of use, I noticed significant improvement in my dandruff. I didn’t notice nearly as much flaking, and over time I stopped seeing flaking altogether. I had to leave the shampoo in longer than my regular shampoo, but I figure it is just a small price to pay for better hair. According to the directions, you are supposed to leave this shampoo on for 3 to 5 minutes to allow your hair and scalp to absorb the maximum amount of nutrients, thus giving you the best results. After a few weeks of use, this shampoo has gotten my dandruff completely under control, and I never see white flakes when I brush my hair, or feel the urge to scratch my head 20 times a day. On top of that, I have definitely seen an improvement in thickness, which I think is due to the shampoo strengthening my hair. My once fragile and thinning hair actually thickened in diameter, which made my hair look fuller altogether. Needless to say, yes, this hair loss shampoo really works! 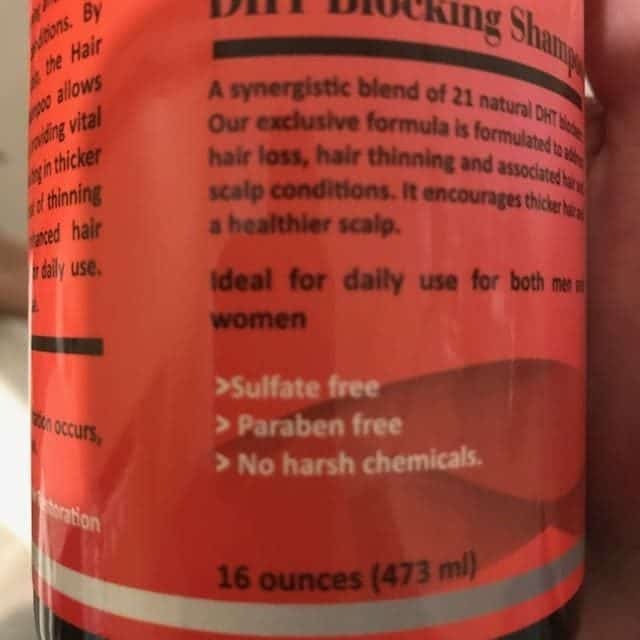 Hair Restoration Laboratories packed more DHT blocking ingredients into this shampoo than any other shampoo out there. A single bottle of shampoo contains over 20 DHT blocking ingredients, all of which have been shown to block DHT from attaching to the scalp’s androgen receptors. That means this shampoo meets and exceeds ingredient quality and quantity expectations, there’s no other shampoo quite like it. Although you have to be patient and consistent to see results, this shampoo definitely works. With daily use, you should start seeing results within 3 to 5 months, the time may vary from person to person, so just be patient. I have also noticed my hair is growing faster than it did. Before, I couldn’t notice any substantial hair growth for several months. But since I have been using this shampoo, I have seen my hair grow a couple of inches, which is amazing compared to what I used to get. Since I have started using this shampoo, I haven’t noticed any negative side effects. The only thing I experienced was the tingling sensation on my scalp, but it is more satisfying than anything. Still, the tingling may take a while for some people to get used to. Other than that, I have only had positive results from this shampoo. The only way you might experience negative side effects is if you get it in your eyes or ingest it. If you get it in your eyes it could burn and irritate your eyes, so make sure to wash it out right away. As long as you use it as the directions state you will not have any problems. So what does it all boil down to? This is a powerful shampoo that can be used to treat hair loss and promote new hair growth. I have had a great experience with it and I highly recommend it to anyone suffering from hair loss. It is safe enough for men and women to use, which is great because most hair loss products and especially prescriptions, are geared towards men and can have dangerous side effects for women. Lastly, instead of costing over $50 per bottle, like a lot of hair loss shampoos, this shampoo is extremely affordable, and in a 16 oz. bottle, it will last you a while. I have definitely fallen in love with this shampoo and I love all the results I have seen from it. If you are ready to finally stop your hair loss and get a healthy, full head of hair, this DHT Blocking Hair Loss Shampoo is the way to do it. Previous article Can Working Out Cause Hair Loss?